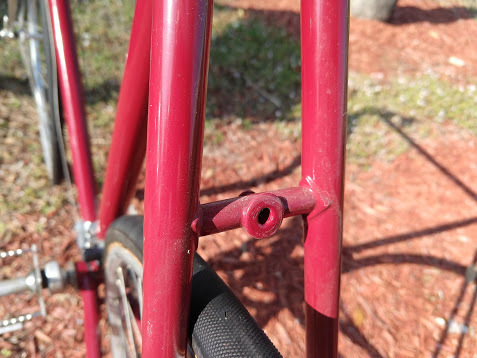 I'm at a loss on the manufacturer of this frameset, any ideas are appreciated. Its previous owner claims it is 50+ years old and was bought in Chicago 46 years ago. Bike has Nervar Star crankset, Pivo bar and stem, and Simplex gear change. Also a French saddle. Frameset as shown with Campagnolo drops, wrap around stays, long point lugs, and flat crown. My first clue was from the serial number which started with a J. 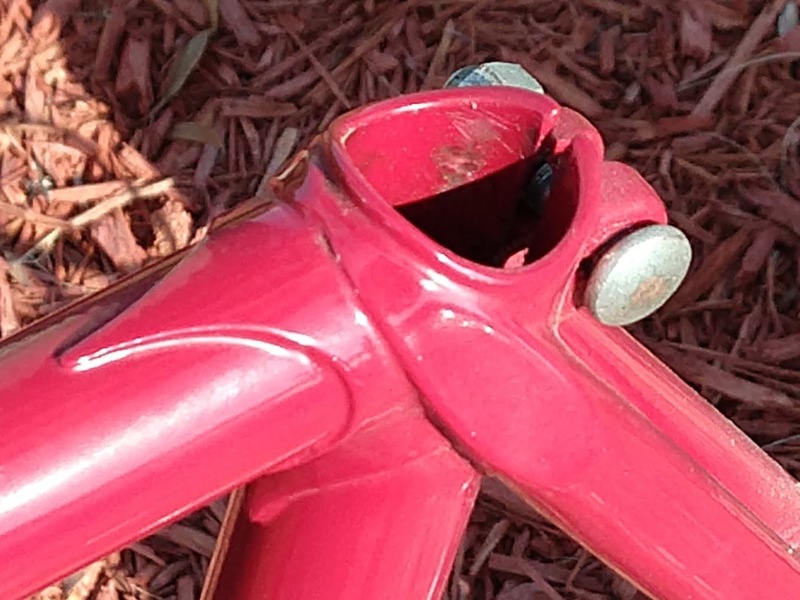 The French derailleur also pointed me to this direction: I took a guess and searched for pictures of Jeunet frames. 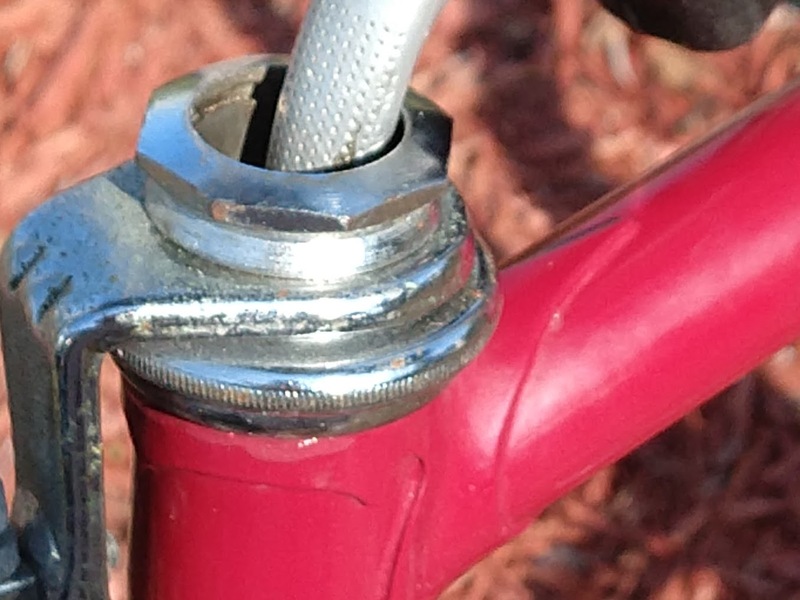 Then, browsing a bit I saw this forum which shows many pictures of similar models where the lugs are exactly the same, similar dropouts and forks chromed. My guess; it is a Jeunet 620 or a very similar model. Well, I looked a bit more and found this catalogue. If you look at the course (racing) section, their top of the line model for that year is called 570-10 (10-speed 570). 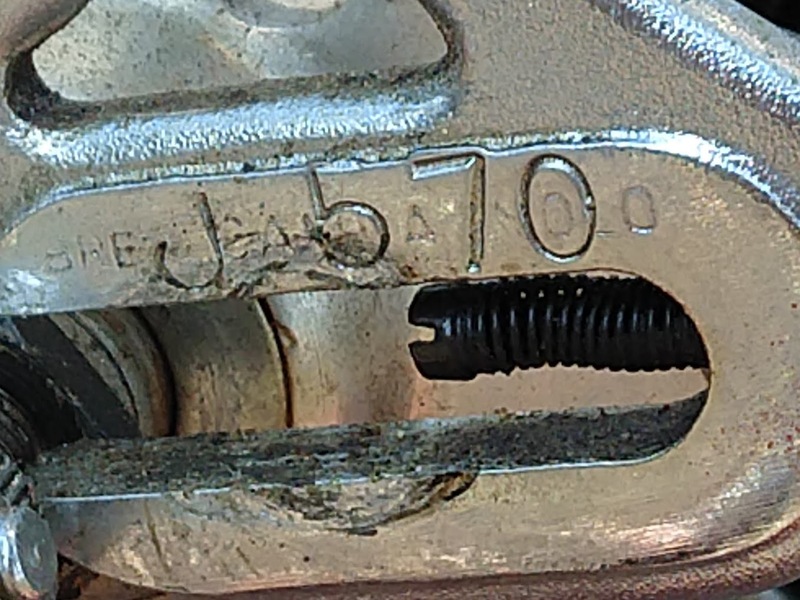 The marking on the dropout might be just that, the model number. Identifying the year, now, that's something else. Not the answer you're looking for? 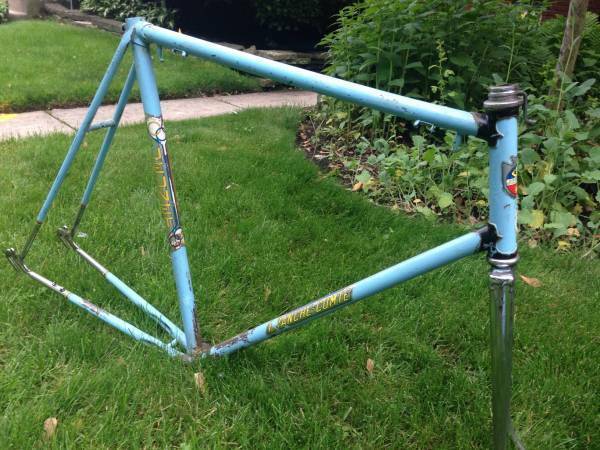 Browse other questions tagged road-bike identify-this-bike vintage or ask your own question. 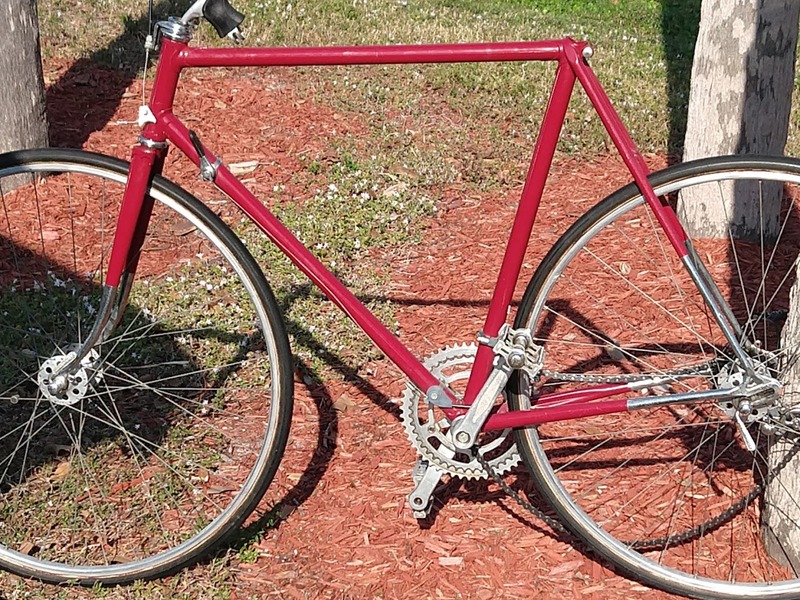 Can you help me identify this old bike? 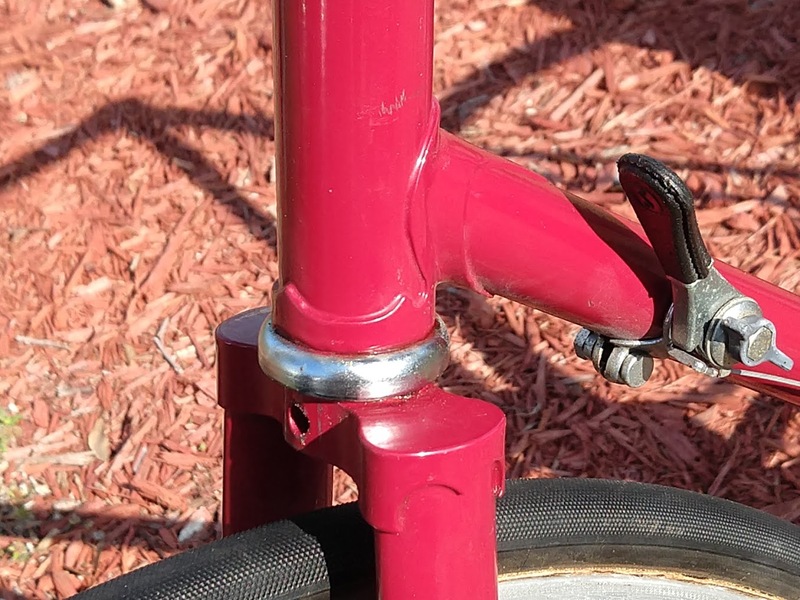 Can anyone help me identify this vintage road frame that has been repainted?